Grip. The new rubber compound which contains natural rubber, silica and canola oil and the directional tread combine to deliver precise grip in winter conditions. The Nokian Slush Blower technology and polished grooves easily remove snow and slush to provide more grip. Winter. The system of small sipes on both sides of the centre rib provide maximum grip in snow. Larger sipes enhance snow traction performance. The jagged chamfers on shoulder blocks ensure additional grip in deep snow. Handling. The sturdy centre rib ensures steering precision and controlled handling. Winter tyre for many cars. Optimum grip on wet or snowy roads. Additional grip and traction in deep snow and slush. 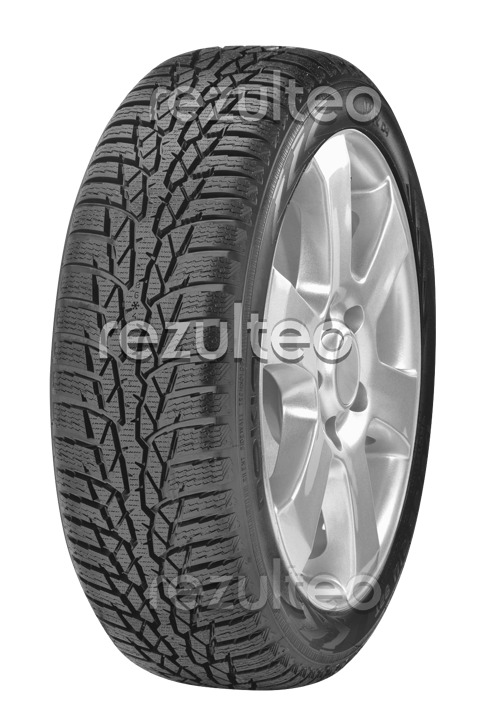 Mud & Snow: tyre capable of running on soft or snowy surfaces. This tyre is not available from our partners.